For all radiators except the modded 05/06 Kawasaki support.....first REMOVE THE RUBBER SPACERS on your radiator. The radiator supports fit super snug up against the 3 radiator tabs. 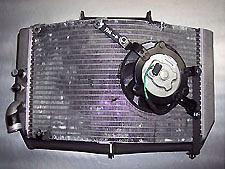 If you dont have tabs, the radiator support will still work fine. Place the supports carefully over the radiator and then install the second fan before you re-install the radiator back onto the bike. 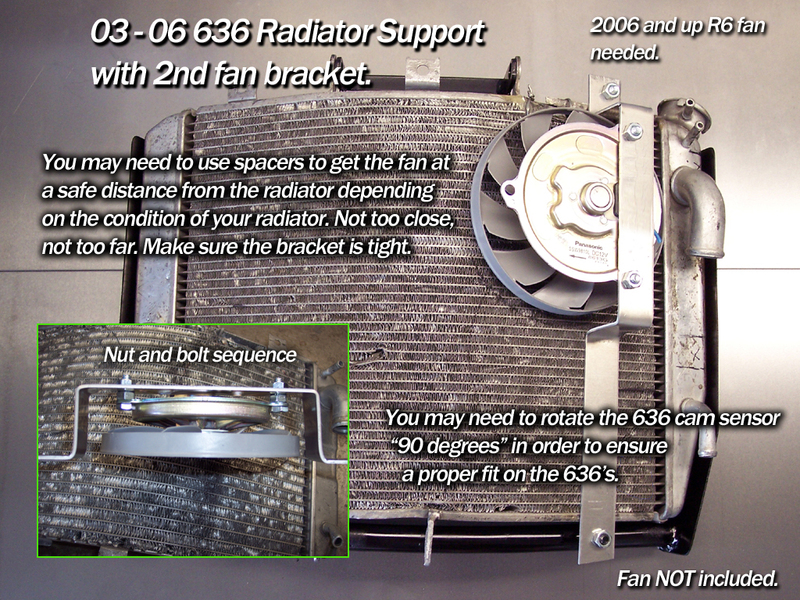 Make sure the fan clears the back of the radiator and not rubbing. It should not rub. 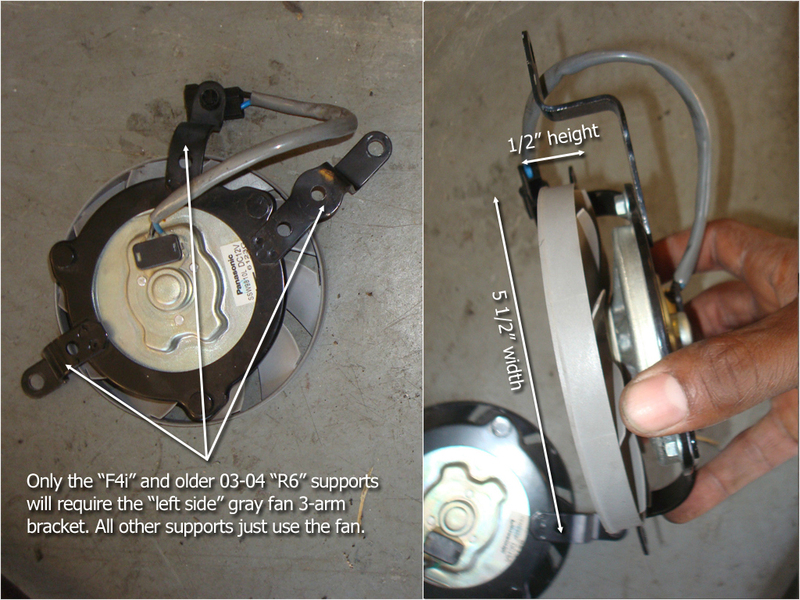 If your radiator is bent you may need to shim the second fan mount bracket. 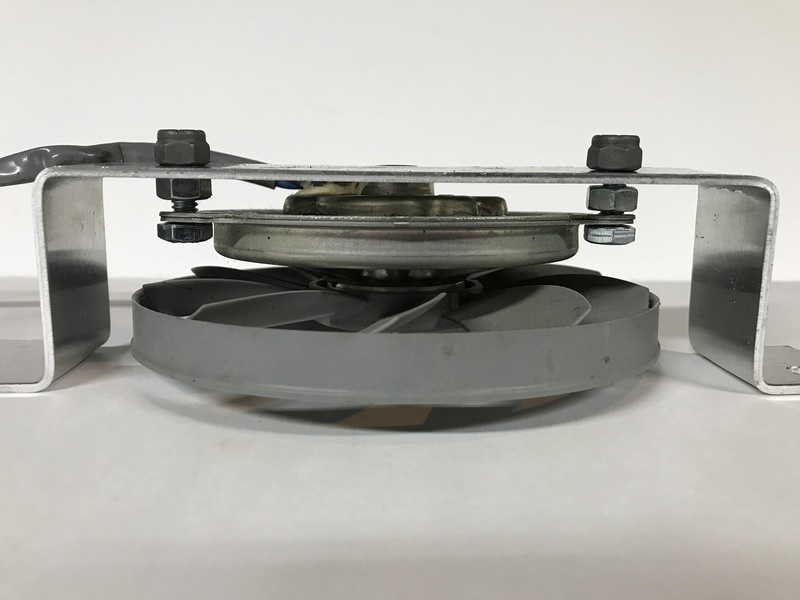 Only the F4i and 03-04 R6 supports fan use the "LEFT SIDE" 3-armed mount the OEM fan comes with, others use only the fan itself with the bracket we supply. Be very careful when installing, dont rush it, take your time! 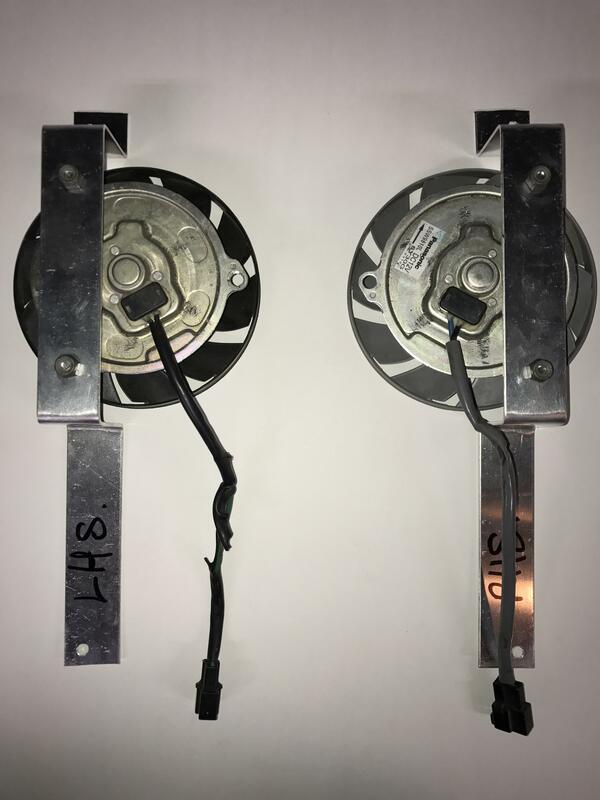 Below are images of how the supports should look when installed. These fans run at a whopping 2300 cfm.